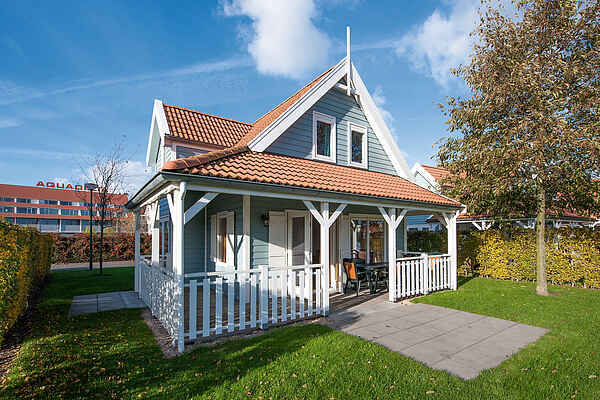 A country house on the AquaStaete resort, part of the Aquadelta holiday park, offers pleasure and relaxation for the whole family. Enjoy the tranquillity and space in a 6 person country house. This luxurious and fully furnished villa has sliding doors providing access to a charming veranda. You also have a luxurious bathroom and a garden with garden furniture. If you would like to book a more luxurious variant, then NL-4311-16 is for you!